Get rid of unneeded or under-used lawn. 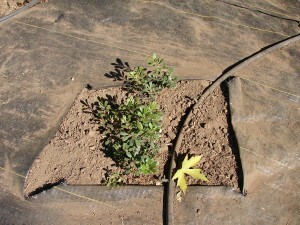 Use solarizing or sheet mulching to kill your lawn – see my earlier posts for step by step instructions for these effective, non-toxic methods. Starting now will set you up for replanting this fall. Yes, your yard will look funky this summer. Water remaining lawn (do you really need it?) deeply and less frequently. Your lawn will actually be better off being watered twice a week rather than daily. 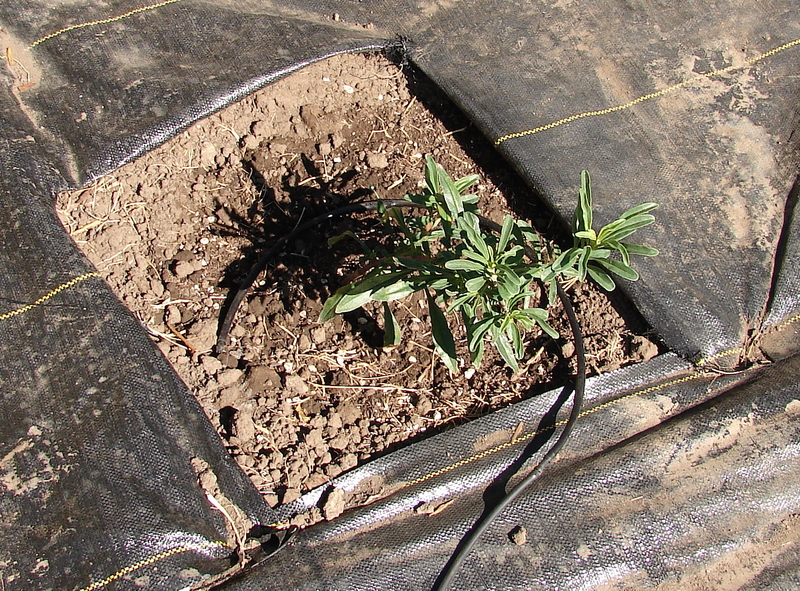 Deep irrigation encourages deep root growth, which results in better drought resistance and reduced fungal diseases. Also, mow less and set your mower to cut at a minimum 4″ height. Less stimulation of new, thirsty growth and decreased evaporation means lower water use. Replace spray irrigation with drip irrigation. Less water use, less loss to evaporation, reduced weeds, water applied right to the root zone; what ‘s not to love? Water in the wee hours of the morning. For lawns, water between 2 and 5 am. For drip irrigated plants, water before 9 am. 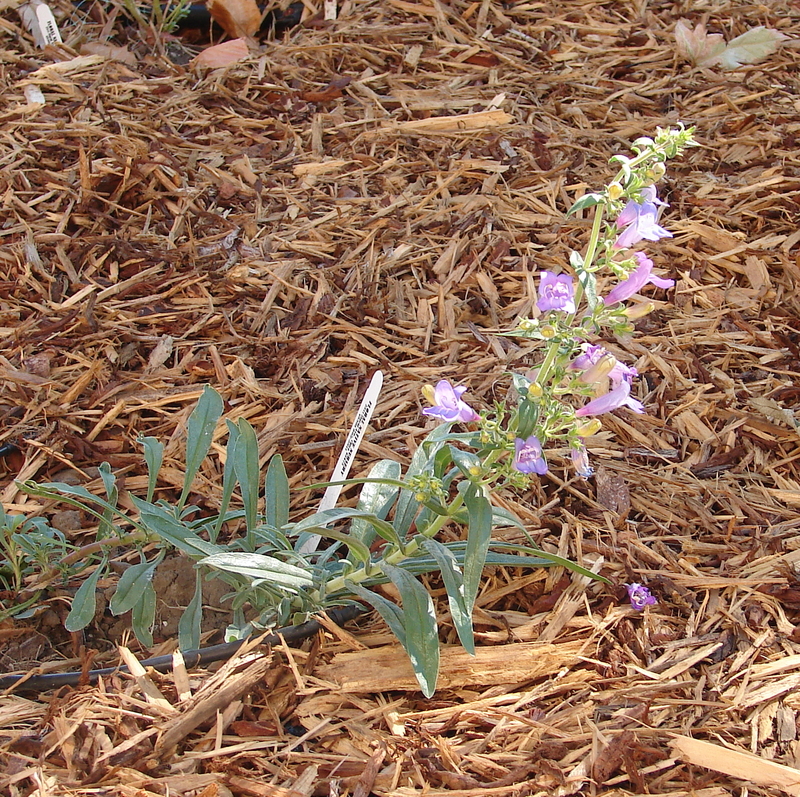 Apply a 4″ to 6″ thick layer of wood chip mulch to all planting beds. 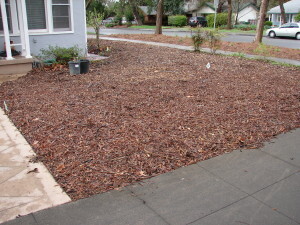 See my earlier post for many great reasons to become a mulch fanatic. 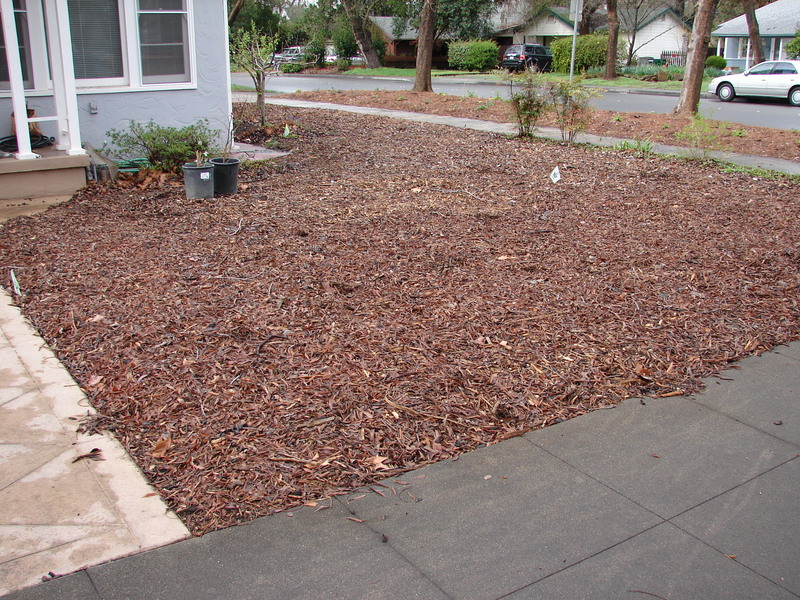 Make sure you keep the mulch about 8″ away from plants stems. 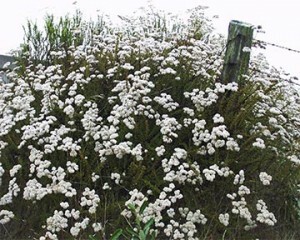 Phase out thirsty landscape plants. Water-loving Chico favorites such a azaleas, rhododendrons, hydrangeas, Japanese Maples, annual flowers, and roses are dangerous beauties. They are simply not appropriate for our dry summer conditions. heat, turn to CA Buckwheat (Eriogonum fasciculatum), Naked Buckwheat (Eriogonum Nudum), Coffeeberry (Rhamnus californica ‘Eve Case’), Foothill Penstemon (Penstemon h. ‘Margarita BOP’), Deer Grass (Muhlenbergia rigens), CA Fescue (Festuca californica), CA Poppies (Eschscholtzia californica), Moonshine Yarrow (Achillea ‘Moonshine’), Common Yarrow (Achillea millefolium), Blue Gramma Grass (Bouteloua gracilis), Scarlet Mallow (Spheralcea munroana), Rosemary (Rosmarinus spp. 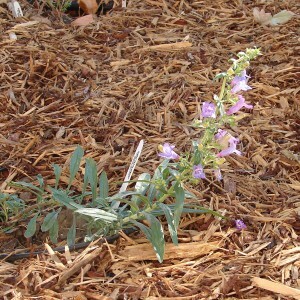 ), Black or Cleveland Sage (Salvia mellifera or clevelandii), CA Fuchsia (Epilobium californica), Autumn Sage (Salvia gregii), and Russian Sage (Perovskia ‘Little Spire’). 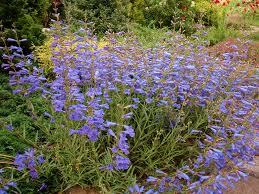 Check out Chico’s own native CA plant grower, Floral Native Nursery, for many other drought tolerant plants. Limit pruning. 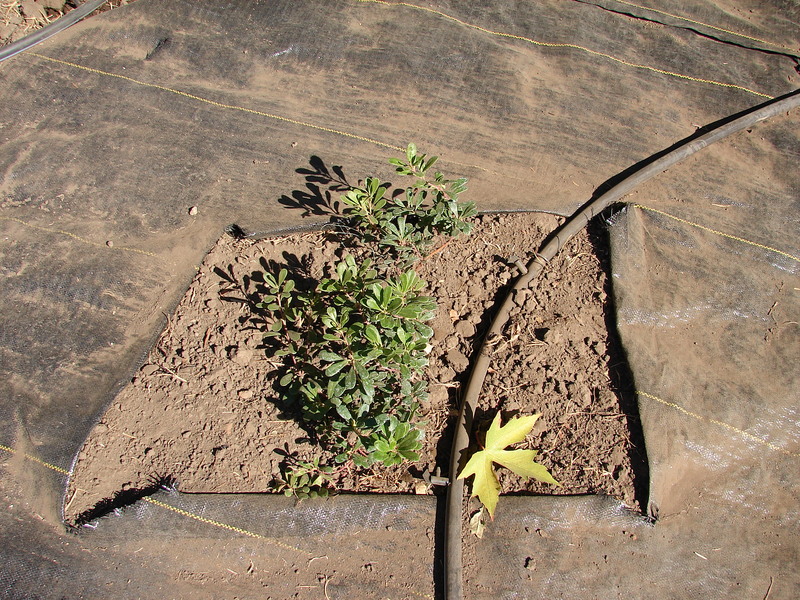 Pruning stimulates new growth which increases a plant’s water needs. 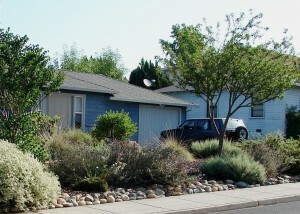 Drought tolerant landscapes are beautiful down deep. Start creating your own today! 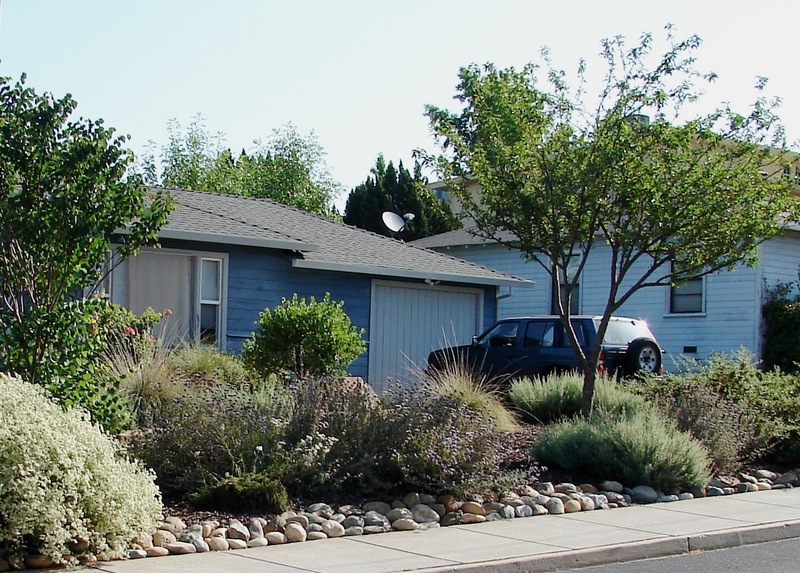 This entry was posted in Uncategorized and tagged appropriate plants for chico ca, drought tolerant landscape, drought tolerant plants, how to make garden drought tolerant, kill lawn, native ca plants, native california plants, plants for dry gardens, plants for dry landscape, reduce landscape water use., sheet mulch lawn, solarize lawn on April 12, 2015 by admin.